Its very existence defies all of the ironclad laws of business etched in the provably stone of entrepreneurship. Not only does it reside in one of the most glossed over, and ethnically disparate locations that can possibly be found in South Seattle, but its founder’s prior experience in the coffee business consisted of consuming five cups a day to slog through her previous life as a virtual marketing consultant. As if that weren’t enough, the coffee shop had no product of its own to sell during the first few weeks of operation, and when it did, it quickly ran out of it at the most inopportune of times, as national coffee day came and went without Tin Umbrella serving a single cup. Add in malfunctioning utilities, a business partner who decided to abruptly quit, and an owner who had exhausted all of her life savings into what seemed like a sinking enterprise, while she recovered from a serious brain damage, and you seemed to have a deluge of calamity on par with various biblical plagues. 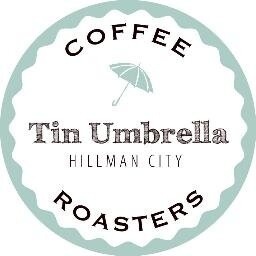 Yet despite this torrent of adversity, or perhaps because of it as its founder will tell you, Tin Umbrella has not only persevered, but flourished ,while galvanizing an area that is often referred to as the forgotten stretch between Columbia City and Rainier Beach. It effectively serves as the central hub for a community that was once the epitome of urban decay, and an enticing target for the gentrification wave that has swept through much of southern Seattle. It’s this coffee shop that has helped to transform the community of Hillman City into a place where once jaded neighbors now discover each other as friends over a cup of joe, and its diverse residents, with origins from around the globe, no longer feel worlds apart from each other. Change the world? It already has, at least a small portion of it anyway. With all it and its founder has survived, who can doubt that it might just be able to transform the rest of it? Nice respond in return of this matter with real arguments and telling the whole thing regarding that.